Few names in the automotive industry are as synonymous with performance as Porsche. These stylish, luxury vehicles should not be trusted with just any repair shop, only qualified specialist should be allowed to work on your Porsche. At Coopers Auto Repair Specialist, our ASE Certified technicians are highly trained and have expert knowledge on all Porsche repair services and maintenance. Our shop performs nearly every imaginable service on Porsches in the Tacoma, WA area. From repairing major damage to routine maintenance, our qualified technicians know the ins and outs of Porsche vehicles, so you can rest assured your Porsche is in the best hands. We know auto repair can be stressful, and bringing your Porsche to an auto shop isn’t your idea of fun. We also understand that when something goes wrong with your Porsche, you may be worried about the high cost of repairs. If thats the case, Coopers Auto Care Specialists is here to put your mind at ease. Our technicians operate at the highest level of integrity, which means we will recommend and perform only necessary repairs or service on your Porsche, saving you time and money. Bringing your Porsche to our shop means that your vehicle will be treated with the care and respect it deserves. At Coopers Auto Repair Specialist, we are not looking to make a quick profit, we want to build a long lasting relationship with you and your car. That is why we strive to maintain 100% customer satisfaction in all our Porsche repairs and services. 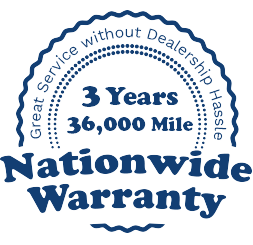 The caliber of our friendly staff and facility is a direct reflection of our commitment to you and your car. Our goal is to keep your Porsche running like you just drove it off the Porsche lot. So when your vehicle leaves our shop, we will make sure it is leaving in the best condition possible. Porsche vehicles are meant to be on the road performing at their finest, not be stuck in a shop. Let the trusted professionals at Coopers Auto Repair Specialists help you get your vehicle back on the road as quickly and safely as possible. Enjoy the peace of mind that comes from knowing you’ve taken your Porsche to an auto shop that has a proven track record of working on vehicles just like yours.